Kohei Masaki contributed a perfect hat-trick as Seaford somehow emerged on top after a roller-coaster of a match against Clontarf at Rockfield Park, claiming a first league win of the season. 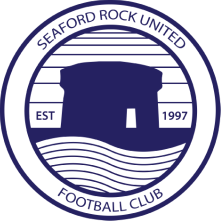 The two sides have had an excellent rivalry in recent season, with goals guaranteed, and Seaford have enjoyed more than their share of good fortune against the visitors from the northside. This, arguably, was no different, as both sides' attacks dominated the opposing defenders, with stunning finishing at both ends, and only a blistering finaleto the match secured the points for John Downes's men. The early part of the match was completely uneventful compared against what was to follow. 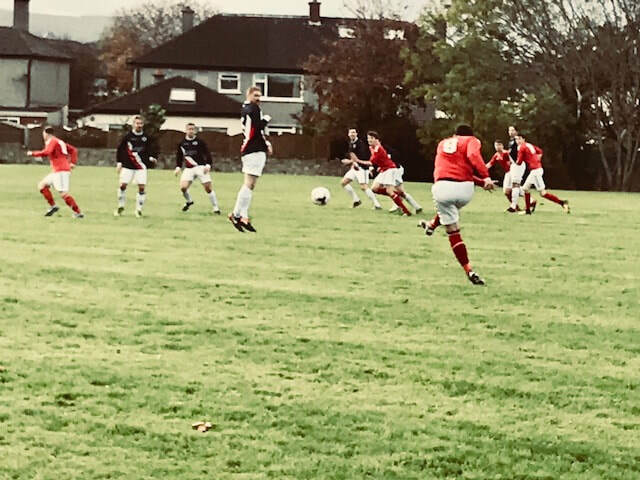 Seaford had had a run of corner kicks, but neither side had seriously threatened before Stephen Patten gave Clontarf the lead with an inch-perfect free kick from 25 yards. But Seaford fought back, improving as the half went on, and responded with a brilliant strike of their own on 32 minutes. Ian Nolan found Chris Monk with a clever disguised pass infield from the touchline, and the in-form Scottish winger netted his third of the season, curling a brilliant shot into the top corner as Eoin Smartt retreated towards his goal-line. The home side couldn't have gone closer to securing half-time lead on 40 minutes when Masaki laid in strike partner Garrett Connolly, who burst through the heart of the Tarf defence before smashing his shot against the bar. The rebound fell to Masaki who headed goalwards, and Connolly flicked the ball into the net only to be adjudged offside. Instead, it was the reds who made it 2-1 moments later. From Ger Donagh's whipped cross, Luke Ginnell dropped a catch, allowing Padraic Galvin to spin and smash into the unguarded net from the edge of the box. But it was 2-2 within moments of the restart. From Conor Tobin's corner, Monk won yet another header and Masaki nodded home from close range. It was end-to-end stuff now, as a sensational recovery tackle from Seaford skipper Fionn Lawlor denied Ciaran Dorney, before another offside call cost Seaford a truly sensational goal, as Masaki sprinted past four opponents down the left side of the field before crossing for Connolly to crash a header into the top corner, only for the whistle to blow. And two quick Clontarf goals just after the hour mark seemed to have put the contest beyond doubt. First, Dorney whipped a corner into the near post where Steve Kane's attempted clearance merely found the top corner of his own net. Then Dorney got on the scoresheet himself, running on to a Craig Bauer flick-on and almost ripping the net from its moorings with a rocket of a finish. In between the two goals, Masaki had missed a sitter for Seaford, but he bounced back from that disappointment to pull one back on 68 minutes. Monk burst down the right wing. His cross was only half cleared, and although Paul Lydon didn't get hold of his 20 yard shut, Masaki controlled and finished. Suddenly, momentum favoured Seaford, and it was fitting that the equaliser was scored by Connolly, who had led the line brilliantly throughout and twice been denied for offside. He combined well with Masaki before shimmying left and right to bamboozle an opponent and slamming home a low finish. It was up for grabs now, and the match was decided by two headers in the space of a few moments from two men wearing number 15, who also share a surname. First, Clontarf's Fearghal Sullivan was found by captain David Vos's header only to nod over the bar from point-blank range. But at the other end, Mark Sullivan - making his return to the first team after thirteen months - made no mistake when he met Connolly's whipped cross at the back post to make it 5-4.